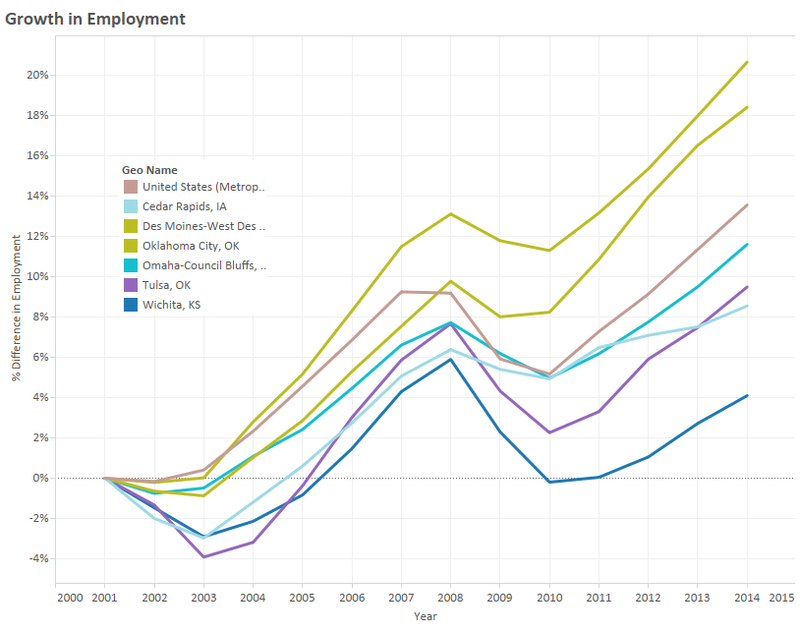 An interactive visualization of employment in metropolitan areas. Growth in Employment by MSA. Wichita is the bottom line. Click for larger version. 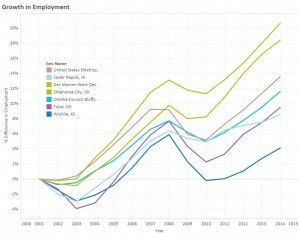 I’ve gathered employment data from the Bureau of Economic Analysis, an agency of the United States Department of Commerce, for all available metropolitan areas and present it in an interactive visualization using Tableau Public. In the visualization you may use several different presentations of the data and filter for specific areas and industries. The series are presented as the percentage change since the first values, so that relative growth, rather than magnitude, of employment is shown. 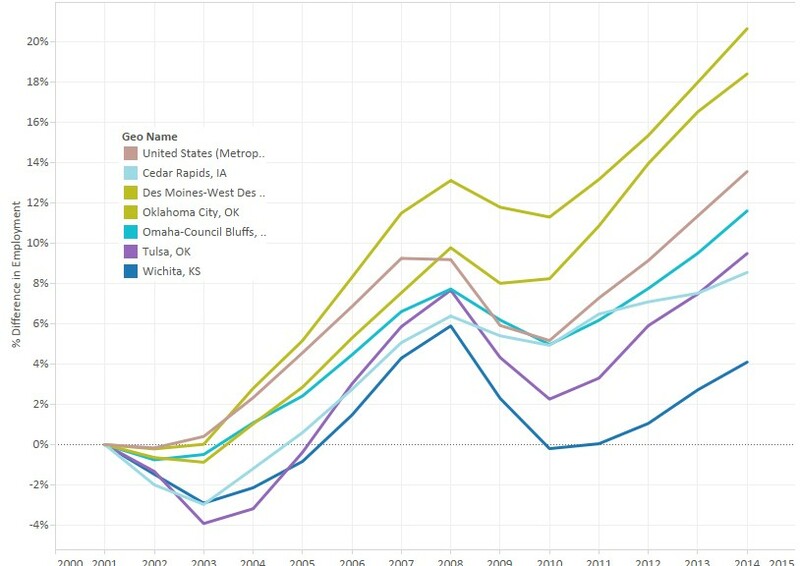 In the nearby example we can see that Wichita –- the bottom line — has performed poorly compared to some peers of interest.